Featuring an outdoor swimming pool and free WiFi, ISTY Hotel is situated in Chiang Mai. This property is located a short distance from attractions such as Chang Puak Market. This property was incredible. Great rooms, comfortable beds, great view of the pool, awesome breakfast included in the pricing, staff was AMAZING, loved the 2nd story hammocks in the floor, loved the rooftop, there’s unlimited free water by the front desk, tons of natural light, I loved the snack shop and the conference/study room. Centrally located so all booked activities pickup with the shuttle. Best property I’ve stayed in in Thailand ever! Placed in Chiang Mai Old Town, Wing Bed offers cosy rooms with wooden floors and traditional decorations. Free WiFi is accessible throughout the property. Guests can find a tour desk on site. Hotel staff like Mr Yoh and ms Michelle.they give tips about placed to go and eat. She even called taxi to the airport. Situated across the street from Chiang Mai Gate and a 2-minute walk from the famous Saturday Walking Street is the boutique Mhonsa Hotel. Everything. Great value for money and good location by Chiang Mai gate. Also sweet little swimming pool. My Chiangmai Boutique Lodge is located in Chiang Mai, less than 1 km from Tha Pae Gate, and features an outdoor swimming pool. This 3-star hotel features free WiFi and a terrace. Very friendly and helpful staff. Nice and clean rooms. In walking distance of the old city center ( 15 min walk) . Situated just 2 km from the old town of Chiang Mai, Hyde Park Chiangmai offers comfortable rooms with free WiFi, a 24-hour front desk and security system. The room and staff were exceptional . Everything was very clean. 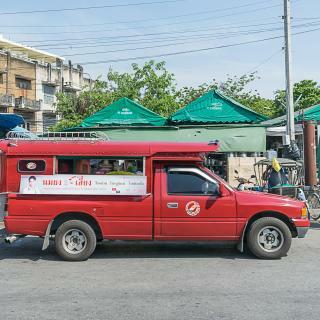 The shuttles from the hotel to the nimanam road was very handy and tuk tusk home cost about 100 baht. Located in Chiang Mai, 800 metres from Chedi Luang Temple, The Rodman Hotel features air-conditioned rooms with free WiFi and a ticket service. It was situated perfectly in the centre of the town in Chiang Mai. Boasting an outdoor swimming pool and a fitness centre, Chala Number6 is set in Chiang Mai, 200 metres from Chedi Luang Temple. A fantastic place to stay , room are comfortable also with a Japanese toilet . Situated in Chiang Mai, Na BaanYa Chiang Mai offers free bikes. 700 metres from Elephant Care & Grand Canyon Jumping, the property is also 1.2 km away from Wat Sri Suphan. I stayed 8 nights. It was new(only 5 months), so no much information, but my choice was good enough. Situated in the Sunday Walking Street district of Chiang Mai, Jomkitti Boutique Hotel is 200 metres from Chedi Luang Temple and less than 1 km from Three Kings Monument. Beautiful hotel with very pleasant staff. The room was very clean & quiet. 700 metres from Elephant Care & Grand Canyon Jumping, Baan Pastel is set in Chiang Mai and offers free WiFi and express check-in and check-out. Ou is a very lovely and caring host and does everything possible to make you feel like home. Located near Chiang Mai Gate, BED Chiangmai Gate Hotel offers comfortable accommodation with free WiFi access. The property has a garden with a pool and a sundeck. This hotel exceeded every expectation. The biggest asset is its staff that are brilliant. Hotel MAYU is situated 200 metres from MAYA Shopping Mall and only a 5-minute walk from the trendy Nimman Haemin area. Guest rooms in the hotel are fitted with a flat-screen TV. I liked everything! The attention is exceptional! Situated less than 1 km from Chiang Mai Night Bazaar, Gategaa Village in Chiang Mai offers rooms with air conditioning and free WiFi. Everything! The best hotel I have ever booked by far! The room was great! Wiang Kum Kam Resort in Saraphi boasts accommodation with free bikes, an outdoor swimming pool and a garden. With free WiFi, this hotel offers a tour desk and luggage storage space. Rolf and his wife are amazing hosts. The hotel is in a beautiful setting outside of Chiang Mai. Located in a convenient area of Chiang Mai, SugarCane Chiang Mai offers cosy and comfortable accommodation with free WiFi throughout. Perfect stay, we feel like second home. The staff was like family. Featuring an outdoor swimming pool, The Inside House is located in the Chiang Mai Old City of Chiang Mai, 700 metres from Wat Phra Singh. With a garden, the property also has a terrace. The hotel and rooms were beautiful as was the pool area. Offering an outdoor swimming pool with a sun deck, BED Phrasingh Hotel is located in Chiang Mai. Free WiFi access is available. BED was such a comfortable and relaxing place to be. Set in the Sunday Walking Street district in Chiang Mai, 99 The Heritage Hotel offers 4-star rooms with free WiFi. Everything was wonderful! The staff couldn't do enough for you and were so friendly and helpful! Set in Chiang Mai, 400 metres from Wat Phra Singh, Patra Phrasing Boutique Hotel has a garden and a terrace. The 3-star hotel has air-conditioned rooms with a private bathroom and free WiFi. The rooms were comfortable, clean, and the breakfast each morning was very good. Sri Ngachang features free WiFi and views of garden in Chiang Mai. Popular points of interest nearby include Wat Sri Suphan, Elephant Care & Grand Canyon Jumping and Chiang Mai Gate. This was my second stay at this structure, I had already given a very good evaluation. 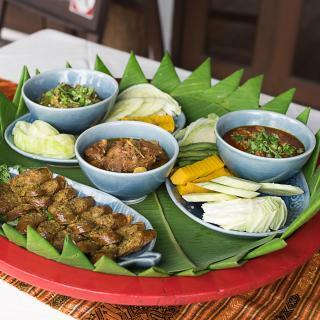 Leechiang Boutique Lanna boasts a cosy accommodation with complimentary WiFi access in all areas. The property provides bicycle rental services. It was clean, well-located and quiet neighbourhood. The staff was also very helpful. The average price per night for a 3-star hotel in Chiang Mai this weekend is US$99 or, for a 4-star hotel, US$203. Looking for something even fancier? 5-star hotels in Chiang Mai for this weekend cost on average around US$654 per night (based on Booking.com prices). What hotels in Chiang Mai offer an especially good breakfast? 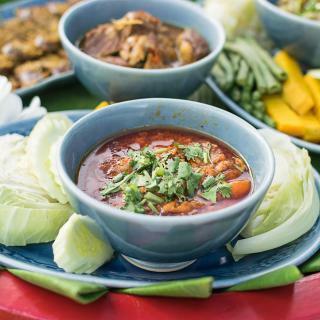 For hotels in Chiang Mai that serve up a highly-rated breakfast, try Wiang Kum Kam Resort, BED Phrasingh-Adults Only and BED Chiangmai Gate- Adults Only. What hotels in Chiang Mai are good for couples? These hotels in Chiang Mai are highly rated by couples: THE TIPPANET (adults only), Rinn Boutique House and The Warehouse Chiang Mai. 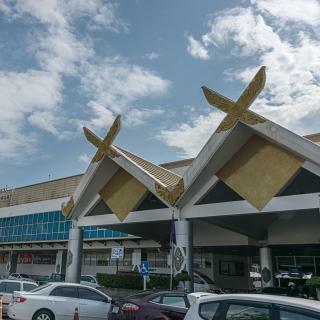 What are the best hotels in Chiang Mai near Chiang Mai International Airport? Travellers who stayed in Chiang Mai near Chiang Mai International Airport (CNX) have said good things about 3B Boutique Hotel, Chayayon Hotel and ZEN Rooms Soi Chom Chan. What hotels in Chiang Mai have nice views? Wiang Kum Kam Resort, THE TIPPANET (adults only) and 99 The Heritage Hotel have received great reviews from travellers in Chiang Mai regarding the views from their hotel rooms. What is the best neighbourhood to stay in Chiang Mai? 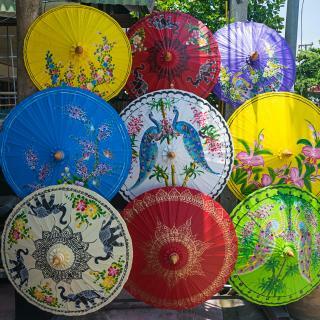 Chiang Mai Old Town, Chang Khlan and Chang Moi are popular with other travellers visiting Chiang Mai. On average, it costs US$49 per night to book a 3-star hotel in Chiang Mai for tonight. You'll pay on average around US$123 if you choose to stay in a 4-star hotel tonight, while a 5-star hotel in Chiang Mai will cost around US$322 (based on Booking.com prices). What are the best hotels to stay in Chiang Mai? Pingviman Hotel, iWualai Hotel and My Chiangmai Boutique Lodge are some of the popular hotels in Chiang Mai. Many families visiting Chiang Mai loved staying at THE TIPPANET (adults only), Wiang Kum Kam Resort and BED Phrasingh-Adults Only. On average, 3-star hotels in Chiang Mai cost US$49 per night, and 4-star hotels in Chiang Mai are US$97 per night. If you're looking for something really special, a 5-star hotel in Chiang Mai can on average be found for US$230 per night (based on Booking.com prices). 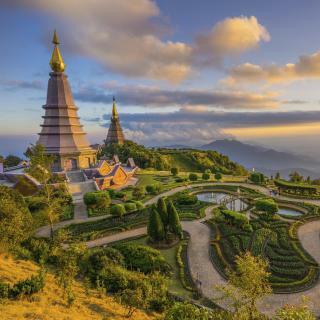 Located among Thailand’s highest mountains, Chiang Mai is the beloved, idyllic and somewhat mystic capital of the North. Offering more than 300 temples, it is considered one of the most important cultural centres in the country. Despite being Thailand's fifth-largest city, Chiang Mai still keeps a relaxed and laidback feel. Modernity, trendy shops and boutique hotels haven’t altered much of its picturesque and peaceful atmosphere. 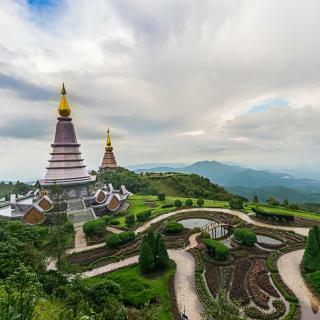 This reputation is partly due to its proximity to mountains and lush green areas, like Doi Suthep Mountain and its panoramic Wat Phrathat Doi Suthep temple. 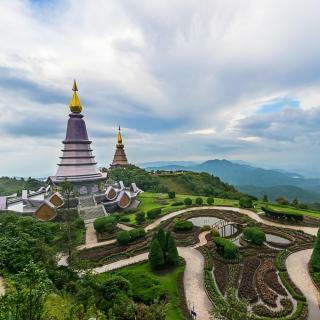 The Doi Inthanon National Park is 60 km away and comprises Thailand’s highest mountain. Hotels in Chiang Mai’s old city centre are a popular choice, offering a more picturesque experience, with its moat and older temples. Chiang Mai hotels can also be found around the Chang Klhan Rd, where the famous Night Bazaar takes place. The city’s nightlife runs along the Loi Kroh Rd, while Ratchadamneon Rd hosts the main Sunday night pedestrian market. Don’t forget to buy an umbrella from Bo Sang and eat a bowl of kao soi. Whether you arrive at Chiang Mai International Airport or come by land from Bangkok, don’t miss 'The Rose of the North' deals on Booking.com! I loved the atmosphere, great massages, great food, night entertainment was a great mix of local cultural or western Reggae, Jazz, Blues, Rock and dance clubs etc if that's your thing. Felt safe in the city and easy to get around. People are very friendly (that's the lovely Thai people for you). Tours and day trips easily accessible and reasonably priced. Good location to access the more remote parts of the North for longer excursions. Good vibe all around. Brilliant. We’d had a few great days in Bangkok, but Chiang Mai was so different. More chilled, relaxed, CHEAPER (how is that possible?) We loved Bangkok, but now we are in Pai, we’re already looking forward to returning to Chiang Maine next time we are here. Great place for discovering the culture behind Thailand, temples are beautiful, northern Thai people are really nice, it’s relatively cheap, and songkran (Thai new year) is a huge deal in Chiang Mai, which made my experience wonderful! Go on tours, you can book most through your hotel, but do your research before hand; eat at more local places rather than bug restaurants, the prices are inflated there, and hit up the night markets ! It is a very nice city to visit especially in the evenings around the night market area. However , the air polution (smoke) is unacceptable and will chase many visitors away. Chiang Mai Zoo was a waste of time and money. Very few pens had animals in them . Chiang Mai is stacked with quite a few very photogenic temples, all within easy walking distance in the inner old town square. Eating is easiest at the market stalls at any of the bazaars. To get around for sightseeing is best done on foot, but taxis and tut-tuts are plentyful and cheap. A nice little city that felt like a town or village in some parts. Locals were relatively friendly. It had a great selection of restaurants, bars and massage parlours. The downside was that as Bangkok it had a prominent red light district that had become normalized.